A new home is very exciting, but termites as new neighbors is definitely not something you want. Buying a home is a major investment. The last thing you want is to have to spend additional money to remove termites from your new home. Before the deal is finalized and signed you’ll want to understand the condition of your home and purchasing a termite inspection should be part of that. A termite inspection will help you to understand if the home currently has, or has ever had an infestation or damage as a result of an infestation. 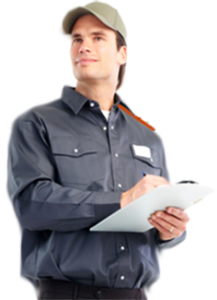 An inspector will provide a report that details any signs of past or current infestation that were visible on the day of the inspection and can bring awareness to any points that might be liable in the future. If infestation or damage is found the buyer of the home should obtain estimates for the treatment and repair that they can use in negotiations with the home seller. It’s a small investment that will provide you with pertinent information. Your real estate agent might also suggest an inspection, especially in areas that are prone to termite infestations. It might be shocking that brick and mason homes can have termites too – but they have wooden components such as framing and flooring, and not to mention furniture. Newer homes can be susceptible to infestation and damage as well – termites go for wood in newly built homes just as easily as they go for wood in older homes. You might want to ask the seller if the home has received a termite pretreatment. Oftentimes newer homes are built with termite-resistant wood or may be treated to prevent infestation. What’s Your Home’s Infestation History? Buyers can also request a history of infestations for the home. In some states it’s already required that sellers disclose the home’s history of termite infestation and damage. Termite warranties may also transfer with the house.